Habitat: Roadsides, disturbed areas, waste places, cities. Just about anywhere. Description: This introduced species is a very fast-growing tree with pinnately compound leaves. The leaflet edges are smooth except for a pair of small lobes near their bases bearing small glands, which look like tiny bumps. These glands are an easy way to distinguish this tree from the sumacs, which has similar leaves. The twigs are smooth and have a continuous yellow pith. The leaf scars are very large with many bundle scars. This tree can grow to be 80 to 100 feet tall, which is where it gets its common name, tree of heaven. The leaves and twigs have an interesting odor when crushed or scratched which smells to me like burnt popcorn. Habitat: This tree can grow in some amazing places. It is not uncommon to find it growing quite large out of some almost unbelievably small cracks and crevices in sidewalks or pavements. This is one of those plants which seems to thrive in the city. Along some roads and highways it can be very thick and prevalent, often being the dominant species. Utilitarian Uses: I have heard the the inner bark fiber can produce a strong cordage, but I have yet to test this out. Other Notes: This tree can look very similar to the Sumacs. An easy way to tell the difference is to look for the tiny gland-bearing lobes near the leaflet bases. 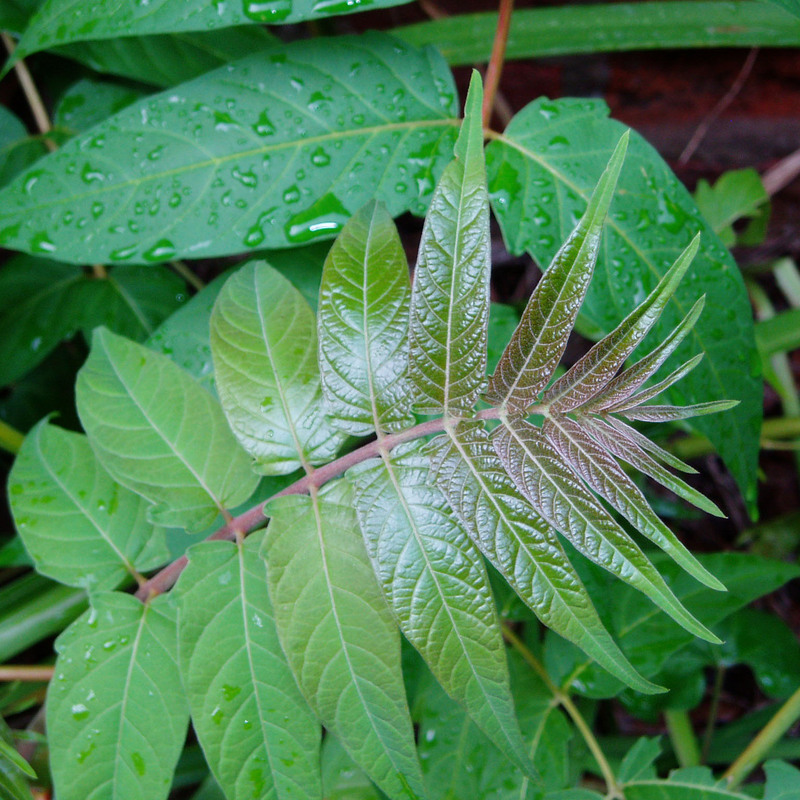 Ailanthus has them, the Sumacs do not. This is probably the fastest growing woody plant in the eastern US. It has been introduced to this continent fairly recently, and in many places it is still in the process of integrating itself into the local environments, often displacing native species.